David Javdan is a Managing Director with Alvarez & Marsal Business Consulting, LLC, (“Alvarez & Marsal”) in Washington D.C. and New York and an appointed Deputy Attorney General to Governor Andrew Cuomo’s “Commission to Investigate Public Corruption.” As a former legal executive and federal and state financial regulator, he brings seasoned experience and credibility in the corporate and public sectors. He has extensive knowledge in private equity investing, small business lending, sophisticated financial transactions, complex financial accounting and audit matters, health care law and multi-party international litigation. Prior to joining Alvarez & Marsal , Mr. Javdan served as General Counsel of the U.S. Small Business Administration (“SBA”) which included being on the Investment Committee of the SBIC program. At the SBA, he worked closely with the White House and Office of Management and Budget Counsel, the U.S. Department of Justice, various U.S. attorneys, Inspectors General, Government Accountability Office auditors and the general counsels of various cabinet departments. He supervised approximately 450 professionals in 70 offices and served as CEO of the legal department. He was also a Chief Ethics Officer for an independent federal financial agency with a $125 billion loan and $30 billion venture capital portfolio and worked diligently with the agency’s CFO to obtain the agency’s first clean financial audit in seven years. During his almost four years at SBA, Mr. Javdan was intimately involved with inner workings of the SBIC program. He served as Chief Legal Advisor to the program, providing binding legal opinions and having to approve or disapprove every SBIC application that came through the program for legal sufficiency. He and his Deputy General Counsel comprised two out of the four active voting members of the Agency Licensing Committee that had final approval – or disapproval – of each and every SBIC application to the program during his tenure. 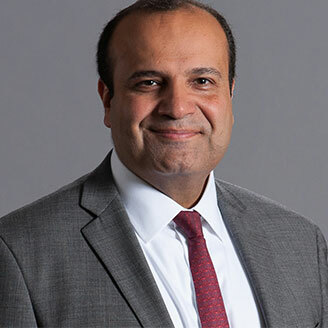 Before joining the SBA, Mr. Javdan was an attorney with Stroock & Stroock & Lavan LLP, where he primarily focused on insurance, international financial institutions, health care, and litigation. There, he represented the Austrian Jewish community on Holocaust restitution matters, leading negotiating sessions with the U.S. State Department and Austrian Ministry of Foreign Affairs and participated in complex, multi-party international litigation. Mr. Javdan earned a bachelor’s degree from Columbia University and a Juris Doctor degree from Fordham Law School. He helped found and served as pro bono counsel to a number of charitable organizations, including the JED Foundation, a national organization dedicated to helping prevent suicide among college students and the Iranian American Jewish Federation. He also served on the board of trustees of an NAIS elementary school, on the national board of the Columbia College Alumni Association and as a member of the Coro Foundation’s Leadership New York program. He is currently a trustee on the executive committee of the New York Citizen’s Budget Commission and a board member of Hope Street Group.